If you’re like most people, you’re probably under the impression that vacuuming your carpet is enough to clean it. But what if you knew that one square inch of carpet can contain about 200,000 bacteria. Would you still feel as confident in your at-home cleaning methods? As beautiful as it can look and as cozy as it can make your home, your carpet is like a collection dish for all manner of debris, dust, and bacteria. Down the road, as bacteria accumulate in your carpet, it can cause serious problems for you and your family. At-home cleaning measures may help temporarily, but they aren’t enough to truly address the problem. Getting a professional carpet cleaning is a much more trustworthy way to make sure that the bacteria in your carpet is being thoroughly removed. Below, we’re detailing the top eight reasons why you shouldn’t wait to get a professional carpet cleaning. If you have kids, you probably believe in the importance of letting them play and encouraging them to go outside. Pet owners also often encourage their dogs or outdoor cats to go outside and roam and around. That’s great for exercise and encouraging new activities, but it’s not always so great for your carpets. Dirt, mud, and dust all have a way of sticking to feet and shoes. Before you know it, the great outdoors is very much inside your home. The best professional carpet cleaning services will be able to target those deep stains that settle into the fibers and clean them so that your carpet is left looking like new. If you or your family have allergies that the pollen count or the weather can’t explain, you might be overdue for a carpet cleaning. A carpet is basically a floor-sized trap for allergens. Dust mites and pet hair, in particular, can live your carpet without you realizing it. That can cause everything from annoying sniffles to more serious respiratory issues. Hiring a professional to come and clean your carpet can rid your house of these allergens, and make a big difference in your family’s health and comfort. The stress of visitors — no matter how much you love them — can cause us to go into a tailspin. All of a sudden, it seems, your to-do list doubles in size and the hours of the day disappear quicker than ever. 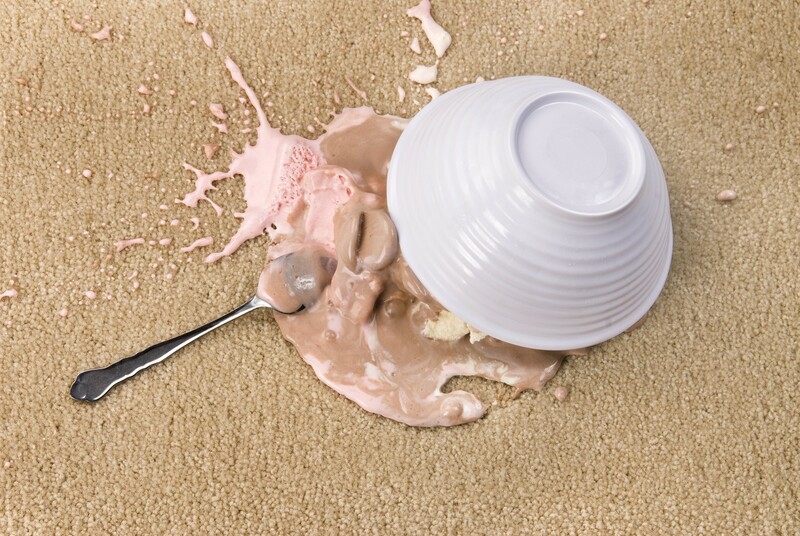 If you want one less thing to worry about, call a professional to come and clean your carpets. It will save you time, and a professional will be able to get your carpets cleaner than you ever could on your own. Knowing that your house looks as good as possible may be the difference between staying calm or panicking when your guests ring your doorbell. For the price of a professional cleaning service, you could go out and buy all the top-of-the-line products that promise to get your carpet looking like new. But then you still have to find the time to do the cleaning, following the instructions as carefully as possible and hoping it works the way it promises to. But then you still have to find the time to do the cleaning, following the instructions as carefully as possible and hoping it works the way it promises to. Any professional service you use should have a reputation for excellence, and a guarantee to back it up. If you’re not happy, you should get your money back. A store-bought product won’t offer you that peace of mind, but a professional service can. All carpets are different, but not all store-bought cleaning products are. If you’re buying something off the shelf or getting a recommendation from a friend, you may not be getting the most effective clean. To safeguard your investment and extend the life of your carpet, it should only be cleaned using the best ingredients and method for its specific material. A professional cleaning service will be able to evaluate the cleaning process that is best for your particular carpet and will use the highest quality materials to get the cleaning job done. If you’ve never taken the time to read your carpet’s warranty, you’re probably not alone. But now is the time to do it, especially if you’ve never had your carpet professionally cleaned. Many carpet warranties now require that carpets be professionally cleaned at least once within a specific duration of time, such as every 12 or 18 months. If this is true for your carpet and you want to keep it under warranty, schedule a professional now and begin a pattern of regular cleaning. The entire rest of your house could be spotless, but if your carpet is stained or dirty, it’s hard for any room to feel clean. Because your carpet takes up so much of your home’s surface, it really sets the tone for the mood of the room. Getting the kind of deep clean that comes from hiring a professional can shift the way you and your family feel when you walk into a room. Just like a clean desk can make you more productive at work, a room that’s clean from floor to ceiling can make a difference in how you feel at home. Getting your carpet professionally cleaned isn’t a quick fix. It’s an expert solution to a problem, and it lasts much longer and makes your carpets easier to maintain. When you get a professional cleaning, the dry soils that make up most carpet stains are thoroughly removed, which keeps your carpet looking cleaner longer. When you’re only relying on a vacuum to get the job done, you may find yourself having to clean once a week. Ready to Hire a Professional Carpet Cleaner? Hiring a professional not only saves you time and energy, it ensures a better clean the first time. Rather than purchasing a store-bought product and hoping for the best, a professional service can guarantee the deep clean you want. Ready to schedule your professional carpet cleaning? Contact us today! What Is the Best Way to Clean Tile Floors? We're a professional carpet, upholstery and tile cleaning company located in and serving Panama City, Panama City Beach and all of Bay County. © Copyrights 2016 ALL STAR STEAM CLEANING. All Rights Reserved.